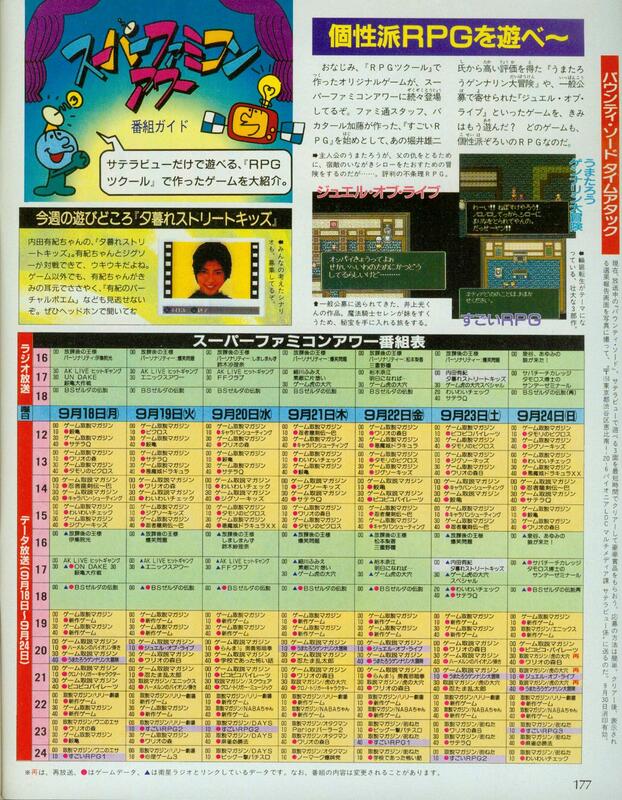 While I am not absolutely certain on broadcast date and time, comparing the header date (9/15) the the Japanese release date of the retail game (9/22/1995) suggests that this was broadcast a mere week before the retail game. 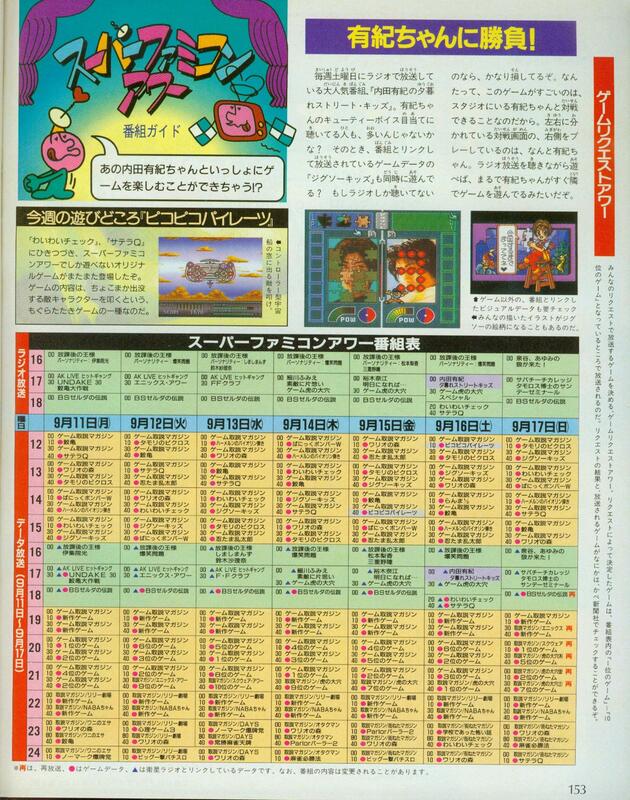 Strangely, though, I do not see this referenced in the Famitsu scan schedules that were submitted to me…? Logically it’d have been on one of these pages somewhere, right? There are two separate zip files in this zip package, which contain the respective assemblergames uploads. If you want to play this on a Satellaview emulator please use Luigiblood’s patched “Cho Aniki Satellaview.zip” ROM.